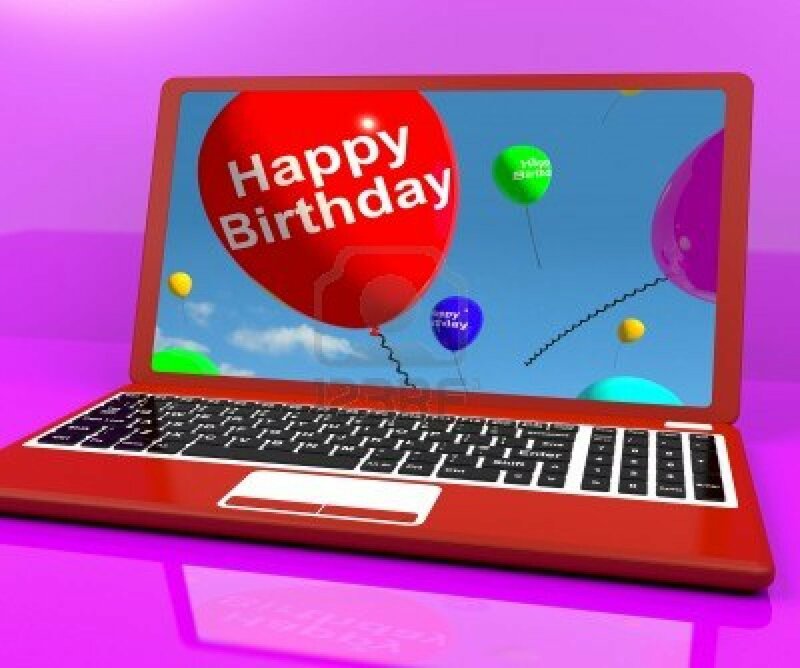 Happy Birthday to All (The Blabbbers)! Well, January is complete. So, the first question is: Are you still sticking to your New Year’s resolutions? The second question: When’s your birthday? Allow me to explain … Believe it or not, my New Year’s resolution is to wish you a happy birthday. Well, that is, if you are my friend … (and have your birthday listed) on Facebook. 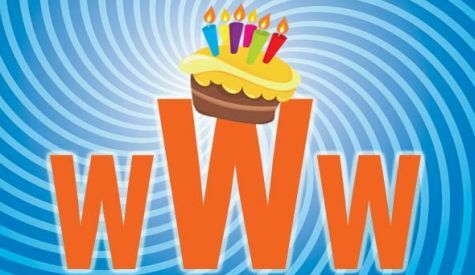 Now, as you may know (if you have actually read this silly blog of mine before, particularly this post), I was a huge fan of Myspace when the social networking era began. I felt this way mostly because I do not enjoy our lives being ruled by and displayed in a timeline/newsfeed manner. In order to stay up to date on Myspace, you had to proactively participate in friendships and relationships, while Facebook, and its newsfeed, which has been duplicated by practically every site, has turned our lives into ticker feeds. Now, that quick background information aside, let’s get back to the matter at hand. When I made the switch from Myspace to Facebook in 2008, I was shocked about how birthdays were announced on Facebook. Based on my experiences, when we develop relationships with people that we care about, we often ask them when their birthdays are. When we know of a friend’s birthday, we make mental notes and add their birthdays to our (now digital) calendars. Remember when we were in grade school and the daily birthday was always listed on the chalkboard? When I joined Facebook, that’s how Facebook birthdays seemed to me. Don’t get me wrong, it’s wonderful to receive birthday wishes, and, of course, it’s polite and friendly to say happy birthday to someone when you know it’s his or her birthday. However, when I joined Facebook, I couldn’t help but feel like we, as adults, were wishing each other happy birthday because Professor Facebook had scribbled our birthdays on the blackboard of the Facebook classroom. Seeing as we’d wished each other happy birthday for years (decades, millenniums) before, Professor Facebook’s birthday “chalkboard” made me unsettled, to say the least. It truly is fascinating to see how even unlisted birthdays can go “viral” on Facebook. For example, let’s say a Blabbber actually knows a friend’s birthday, but that friend doesn’t list his or her birthday on Facebook. If said Blabbber posts a happy birthday message on that friend’s Facebook wall, guess what then happens. Other Blabbbers who are friends with both people see it on their news feeds and chime in. Why do we feel the need to do this? A friend of mine once purposefully posted the wrong birthday on his Facebook wall to see what would happen. Sure enough, hundreds of friends started posting birthday wishes on his wall. He thought it was a hoot. Many of his friends, when they found out the truth, did not appreciate the humor in his prank. However, this really begs us to ask the question: Why do we wish people happy birthday just because Facebook tells us to? All that being said (and maybe still questioned), as I’ve said before in this blog, if you can’t beat ‘em, join ‘em, especially the Blabbbers. After all, that’s what this blog is all about. Questioning what we do on the Internet while being an active participant in all social antics on the Interwebs. I’ve come to realize that my old-fashioned stubbornness is leaving me somewhat alone online. I still believe that true friends know their friends’ birthdays without needing Facebook reminders. However, I recognize now that all those well wishes on Facebook are just that … well wishes. And what’s wrong with well wishes? Well, nothing at all. So, count me in. 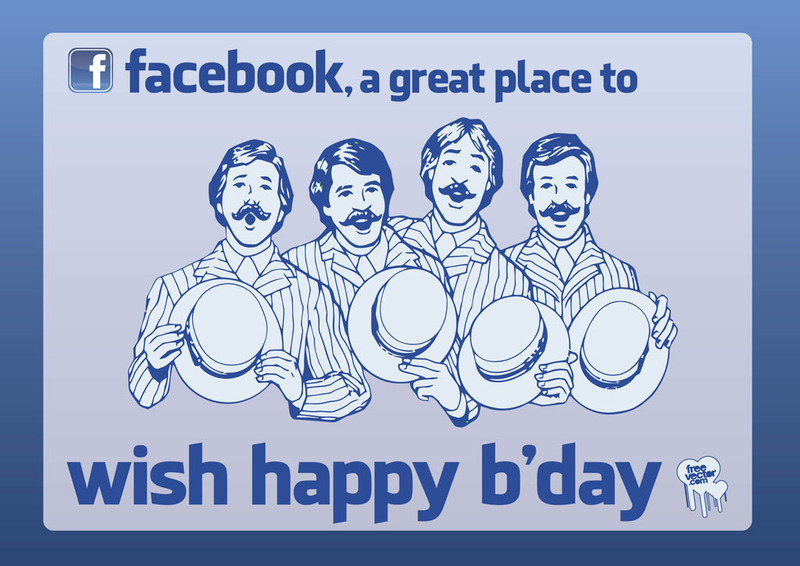 I am proud to say that I plan to wish each of my Facebook friends a happy birthday online this year. Likewise, I will also finally list my birthday on Facebook, which I refrained from doing in the past. I look forward to sending and receiving positive energy by interacting with others online throughout the year. In the end, my Blabbb education has reminded me that no two people do things exactly alike. People use Facebook and social media for all sorts of various reasons. Extending birthday wishing to friends is a good thing, not something worthy of any judgment … that is, unless the birthday date was fake and part of a prank. In conclusion, I leave you with two questions. : What’s your New Year’s resolution? … And when’s your birthday? You are currently browsing the blabbb blog archives for February, 2013. Sign up for Blabbb updates via email! Yes, we see the irony, too. Handwritten Thank You Notes: There’s an App for That?! Blabbb is created by writer/producer Lee Porter. Lee “likes” eating and shrugging … and making fun of Internet addicts (even though he is one himself).